When players take the field for the Keith Schwab Kick-Off Classic on Aug. 23, they will be doing so in honor of a seminal figure in youth sports. Schwab died of a heart attack in 2013. As president of the Haddonfield Soccer Club and a coach of several teams, he left behind a legacy that has continued on after his death. Schwab founded the tournament, so when he died, there was some confusion as to whether the tournament would continue. Hurly knew how much the tournament meant to him and was determined to keep it alive. 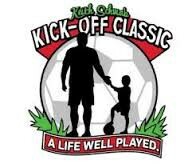 Unlike most soccer tournaments that are spread out over a weekend, the Keith Schwab Kick-Off Classic is a one-day tournament. There are no winners, and every team is guaranteed the same number of games. The tournament will also feature some training sessions and face painters to entertain the kids while they’re not playing. That isn’t all the HSC has planned for the 2014 season, though. The organization will also host Kidzfest on Sept. 21. The event has already raised more than $200,000 for charity and looks to continue to raise money. The event will feature sports, crafts and a carnival for kids. For more information about Haddonfield Soccer Club, visit www.haddonfieldsoccer.org.